Pretty much everybody nowadays has a mobile phone. We tend to think of our phones as a convenience, something that allows us to stay in constant contact and to email, find our way if we get lost, or check the weather. But for older people a mobile can be more than a convenience. It can be a life saver in case of emergencies, plus, it allows older users to stay in contact with friends and family. And a mobile phone can be a cheaper alternative to a land line, allowing elderly users on a budget to save money, and to know how much they're spending if they use a pay as you go device. If you're looking for a great present for an older family member, then you might want to consider buying them a mobile. However, a modern smart phone might not be the way to go. Smart phones tend to be a little complicated and overwhelming for older users. Also, the touch screen can be fiddly to use and difficult to read. Fortunately, there are phones that are made with the older user in mind. 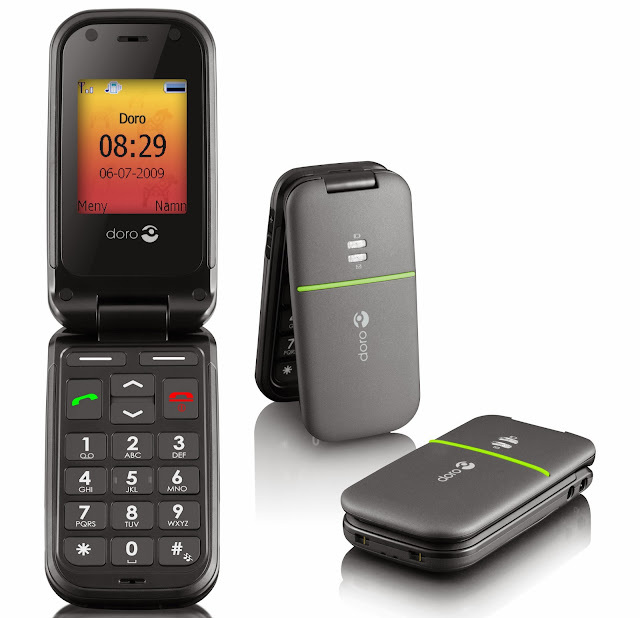 Today we're looking at one of them, the Doro Phone Easy 409s. This really is one of the best phones for seniors that we've seen. Firsly, the Doro is a clamshell design phone. Flip mobile phones have a lot of advantages, one of them being that they're a lot less fragile than touch screen or smart phones. Because the screen and keyboard are protected when the phone is closed, flip phones are more likely to survive being dropped. They get better battery life too. And for older users the convenience of being able to simply open the phone in order to answer a call is much easier than having to search for a call answer button. The Doro features an extra-large text display as well as bigger buttons, making both the screen and keyboard easy to use. Simple “yes” and “no” buttons allow you to choose menu options, so finding what you want and selecting it is easy too. There's a special loud sound feature, which give calls better sound quality and makes them easier to hear, and the phone is hearing aid compatible as well. The ringer is amplified, and there's a strong vibrate when ringing feature, so calls won't be missed, even if the user is a little hard of hearing. Plus, there's an emergency feature too. The phone can be programmed to call or send a text message with the push of just one emergency button in case something goes wrong and the user needs instant contact. The Doro is simply a great phone for the older market. Several mobile service operators offer the Doro as part of a calling package. Probably the best deal right now is with Tesco Mobile. They allow you to use a pay as you go plan, which means users will know exactly how much they're spending. Plus, if you go for the free credit tariff Tesco will triple your credit on top ups. If you top up more than £15, you can also get free calling minutes or free texting. Phil Turner has had a couple of flip mobile phones and found them to be perfect for what he needs in a phone.